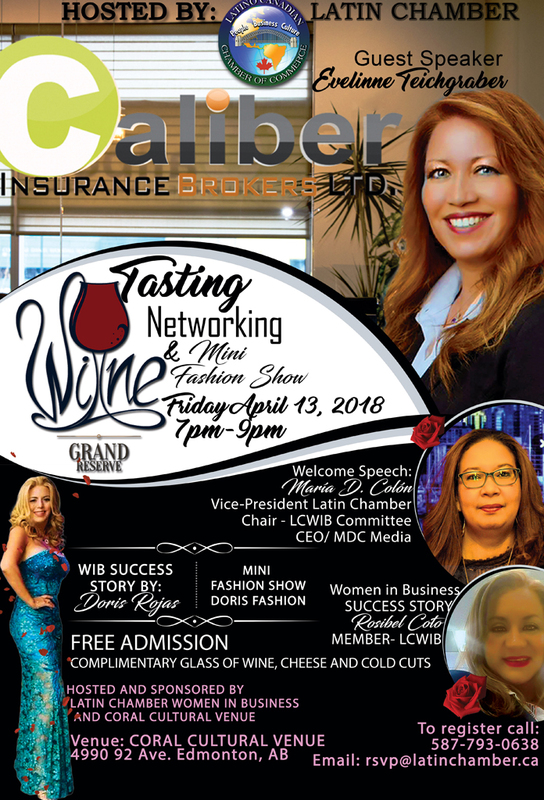 The Latino Canadian Chamber of Commerce Women in Business provides a support network, fostering an unbiased environment in promotion of the professional and personal growth of women. Whether you are a woman looking for a networking community through which to grow your business, in need of assistance and advice during your professional journey, or are in a position to give back to the community, the LCWIB offers you a safe, professional and nurturing environment to meet and exceed your personal and professional goals. For information on joining the Chamber, click here. Stay in the know for events, news and more and sign up for the Women in Business newsletter. e enhance and promote the interest of the Latino business community through various mixers, seminars and advocacy programs throughout the year. One of the most important responsibilities of our organization is to connect Latino businesses in order to network and achieve economic growth in our community. Edmonton has a vast number of Latino professionals and Latino owned businesses which have been operating successfully for many years. Subscribe for our emails to learn about the hottest deals, members offers, contests and events, the coolest new products, and how to get your hands on them first. You may unsubscribe at any time. Copyrights 2018 Latino Canadian Chamber of Commerce All rights reserved.